Band Reunions: Is The Craze Here To Stay? As passionate music fans, there are few things we dread more than the announcement that one of our favorite bands is calling it quits. It is a not-so-subtle reminder that nothing lasts forever and a moment that brings both sadness and reflection. Break-ups in the music world, like in real life, come in all shapes and sizes: there are bitter conflict-filled break-ups, friendly mutual break-ups, and some from bands that just agree their music has run its course and decide to go out on top. Some come as a surprise while others blindside the music world. There is usually a message thanking the fans before the band fades out and leaves everyone to ask “what’s next” for the members and this can often lead to discussions of the music’s legacy and place in history. It’s only natural that music fans tend to experience the five stages of grief (denial, anger, bargaining, depression, acceptance) following a split. Bands can feel like a part of our family and some have profound emotional effects on us. Knowing that you will never get to hear a new song or see that band live is a painful realization that slowly dulls over time. However, the acceptance stage is quickly becoming a thing of the past as more and more bands are turning to reunions. As a result, fans have begun treating a hiatus or a break-up as a mere inconvenience that they will have to endure for a short period of time until the band decides, for whatever reason, to come back. Reunions can come about because of a genuine desire to recapture past glory, a yearning to reconnect with fans, or, more cynically, a desire to cash in on past success and a reemergence of the group’s status with fans. 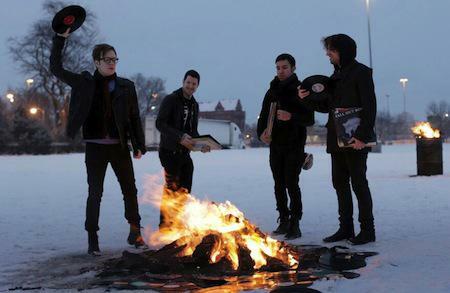 However, fans rarely care and are just happy to have their favorite bands back in their lives again. The scene has been a hotbed of reunions as of late, as groups like Yellowcard, The Starting Line, The Get Up Kids, The Early November, and countless others have “gotten the band back together” to celebrate the anniversary of a classic album, release new material, or go on a short tour before returning back to the ranks of the broken up. Many of these bands announced their break-ups within the past half-decade, and the term “hiatus” has been used more prevalently to soften the blow and leave the door open for a return. The two biggest reunions belong to Blink-182 and Fall Out Boy, bands many believed were done for good. While not every reunion has been celebrated or met with unbridled enthusiasm, the comebacks have been treated well by fans and have shown other groups that an official break-up announcement doesn’t have to be the end and has only served to encourage bands to reform. This year has already seen its fair share of unlikely reunions. Pop punk favorites Midtown announced they would be performing at this year’s Skate & Surf Festival, their first show since calling it quits in 2005. Following the success of Cobra Starship, many figured Gabe Saporta would have no interest in reuniting his old band (in which he played bass and sang). Outkast, the hip hop duo behind the hit song “Hey Ya”, has made their way around various festivals as part of their much-publicized reunion. Strangest of all is the unusual Nirvana Brooklyn performances, in celebration of the group’s 2014 induction into the Rock and Roll Hall of Fame, which featured Dave Grohl, Krist Novoselic, Pat Smear, and an assortment of guest vocalists, including Joan Jett and Lorde, stepping in for the late Kurt Cobain. Then this week, influential emo bands American Football and Mineral announced their respective reunions. 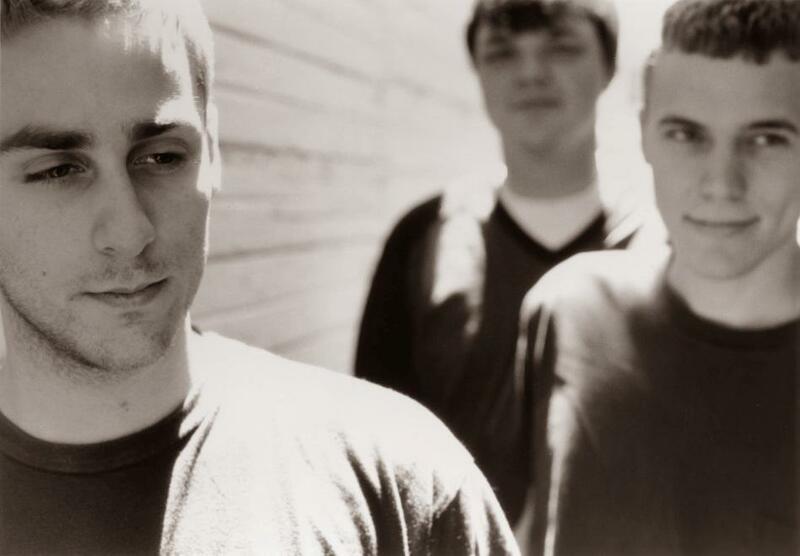 American Football released their self-titled EP and LP in 1999, their only recorded pieces of music, but their plans to re-release their music in a 2xLP collection set through Polyvynl Records led the band to announce shows in Chicago and New York City. Following this announcing, Mineral, who released their albums in 1997 and 1998 and have not played a show in 17 years, announced a short tour with emo band Into It. Over It. Their reunions were met with intense interest despite the long time away. These announcements give fans who were not old enough in the 90’s a chance to see a band they never thought they would be able to and can even lead to new songs or old recordings being uncovered and released. Still, it’s fair to ask “is a reunion really necessary”. Can a reunion actually harm a band’s legacy? A failed return with bad songs or weak, uninspired performances can taint the image a band may have previously held. American Football has always been the musical version of “Freaks & Geeks” to me. Their one album, like the cult classic’s beloved lone season, felt like a moment in time that was pure because it never went stale and never overstayed its welcome. Without a second season, Freaks & Geeks never had the opportunity to go downhill or ruin the greatness of its first season. American Football’s legacy has remained pristine because their Self-Titled album has built their legacy and kept it going. The constant fear is that successful shows may lead to new music that will seem more like a cash-grab than a genuine, inspired collection of music. After so much time apart, it’s also fair to question how much the break has affected the group’s chemistry and how the band’s music has held up. Reunions can serve as a good litmus test to see where the music actually stands. While some choose to look down at reunions and criticize bands who don’t know when to say when, the facts show that reunions are generally pretty successful. Midtown and Outkast’s festival reunions have both been met with positivity, while both American Football and Mineral sold out their shows so quickly they had to resort to adding more. The New York City Saturday show and subsequent Friday show crashed Ticketweb because of the volume of visitors, causing a social media uproar and leading many frustrated fans to lament losing out on this once-in-a-lifetime opportunity. The band went on to add a third Webster Hall show that Sunday, meaning that the band will have sold over 4,200 tickets when all is said and done. The reunion craze has been booming because nostalgia is in such high demand. Now more than ever, we are engulfed by nostalgia, and bands are seizing the opportunity and they themselves are being subjected to these memories of the great times they with their bands. What ultimately attracts us to reunions is that they transport us back in time and elicit powerful memories. By going to see a band like Blink-182 perform, we remember that feeling of listening to them in the early 90’s and early 2000’s (whether you were in middle school, high school, or college) and it brings back these feelings. And this is not unique to the punk scene; classic rock legends like Led Zeppelin and Van Halen reunited in the 2000’s after over 20 years apart to play shows. Boy bands like Backstreet Boys and New Kids on the Block have gone on reunion tours, while N Sync and Destiny’s Child have taken the stage briefly to perform together. With so many groups nobody ever saw getting back together now reuniting, the possibilities are endless. Beloved broken up bands from Jawbreaker to Husker Du to The Replacements to The Smiths (though Morrissey has rejected this notion entirely) may one day perform again. Reunions are never going to please everybody. For every fan that is thrilled to see their favorite group reform, there’s one that wants to remember the band for what they are and avoid seeing them tarnish their legacy. So the question to be asked is: when is enough enough? Is it okay for a band that has been gone for three or four years to come back? Should a band that’s been gone for more than 10 years stay away to preserve their legacy? In the case of American Football and Mineral, we won’t know the answer until they play their shows. But one thing is for sure: the reunion craze is not going away. For better or for worse, they remain extremely profitable and a big hit among fans. While some remain critical, crowds come out in droves, buy the new and the old albums, and celebrate the return of their favorite band. The great thing is that those who are happy to see the band reunite can embrace it, while the more jaded fan who wishes those bands stayed away can just ignore it and live in ignorant bliss while holding on to their memories. In this scenario, it’s a win-win for everyone, so there’s no harm in a band wanting to take a stroll down memory lane as long as they do it right.